This adorable book features two plush arms that let Elmo “hug” the front cover. Inside, Elmo practices being a good friend by encouraging, comforting, and celebrating good times with his buddies on Sesame Street. Complete with gift tag, this makes a great gift. Everyone needs a hug sometimes and Elmo loves to give them! Being a good friend means being encouraging, comforting, and happy for others—all good reasons for giving someone a hug, and all expressed in this storybook. Kids will love using the adorable plush arms attached to help Elmo hug all his friends. Extra activities on each spread encourage kids to use the plush arms to pat, blow kisses, and wave. Tom Brannon has been illustrating children’s books for 35 years and has more than 300 titles to his credit, including many for Sesame Street, Jim Henson’s Muppets, Dr. Seuss, and Peanuts. He lives in rural Wisconsin with his wife, four children, and more critters than he can count. 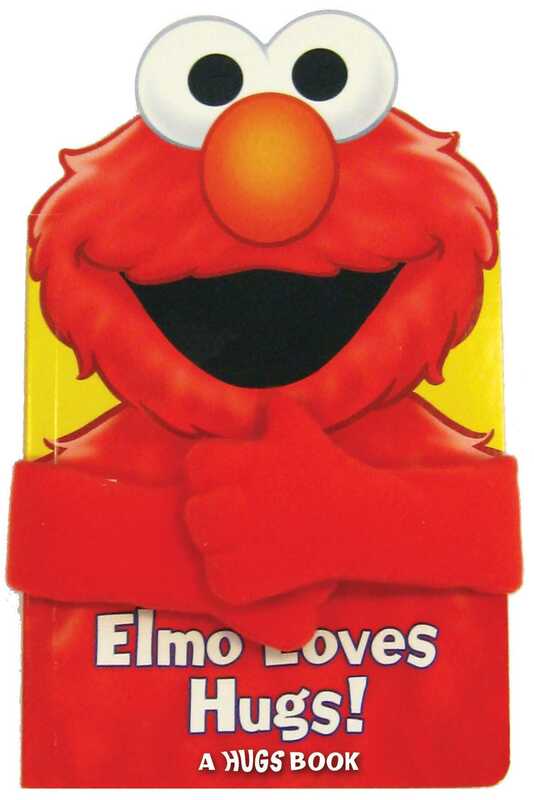 Book Cover Image (jpg): Sesame Street Elmo Loves Hugs!